While most all of us eat pimento cheese year-round on some type of bread, likely its eaten cold as a spread, a snack or a light lunch item. 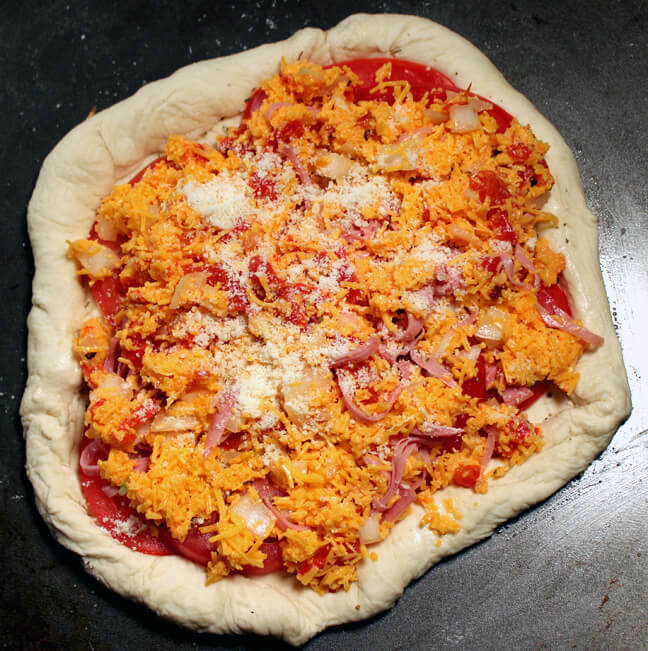 This recipe brings pimento cheese into football season and beyond not only as a great party recipe, but also as a cold night nosh for a family. 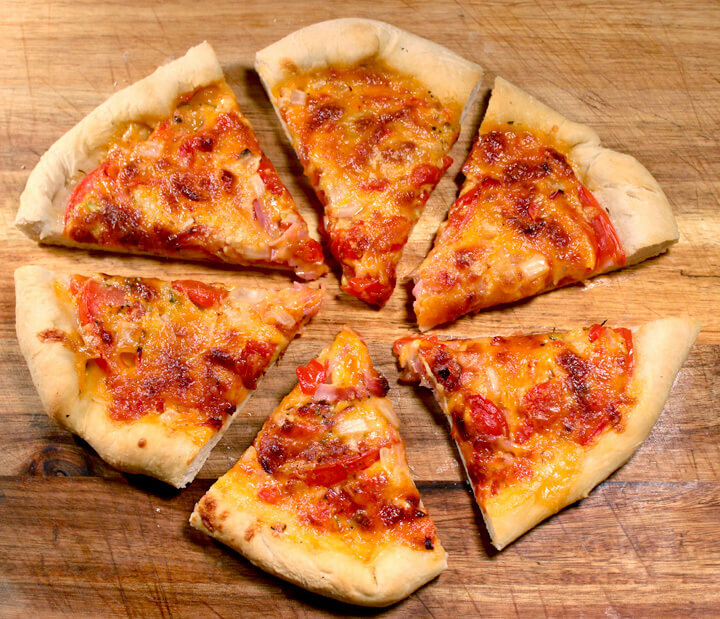 You can use a prepared pizza crust, but I implore you to learn how to make a simple pizza crust; it’s not hard at all, and there are dozens of recipes available using nothing more than flour, yeast, water and olive oil. With a homemade crust, you can adjust the thickness to your tastes and add whatever herbs and cheeses you like to it instead of what some dingbat in a test kitchen thinks you like. Using a homemade crust, roll out your dough—I like mine on the thin side—and crimp the edges. 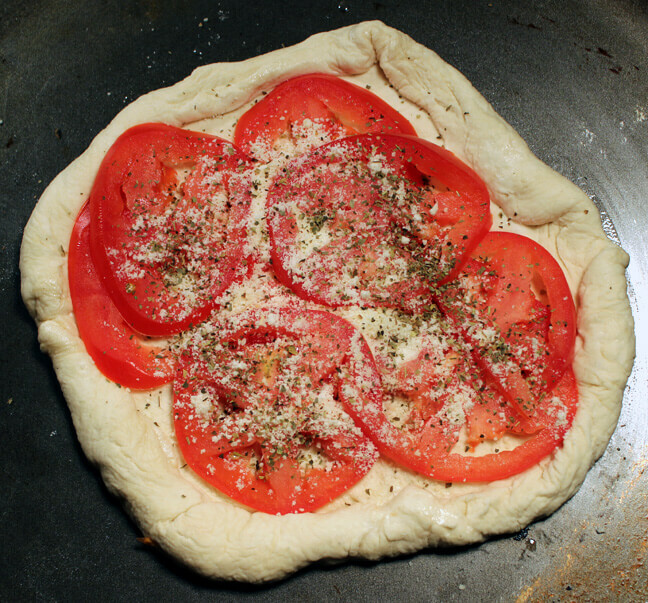 Cover the crust with thin slices of tomato that have been drained between paper towels; slice tomatoes, place between layers of paper towels and press to leach out seeds and jelly. Dust the tomato layer with grated Parmesan cheese and a bit of that ubiquitous Italian seasoning blend. As to the pimento and cheese, friends and neighbors, I wish I could tell you that you can use store-bought or even your homemade recipe, but if you do, you’re going to end up with a greasy, runny mess because the mayonnaise will separate in the oven. Instead, toss mild grated cheddar with drained diced pimentos—I dice the roasted red peppers you can buy in a jar—diced white onions and shaved ham. Yes, you can use bacon but make sure it’s lean. I wouldn’t range too far afield in toppings—no anchovies!—but it’s your pizza, and you can put any damn thing you want on it. Spread pimento cheese mixture over the tomatoes, dust with Parmesan and bake on the middle rack at 450 for about 15 minutes.